Weâ€™ve all seen them, those splendid individuals with various tufts and waves sprouting from their faces like coiffured poodles, proud celebrators of the most perfunctory of facial arrangements: the beard. However the celebration of the â€˜lip sweaterâ€™ is by no means a new event and, over the years and centuries, many a famous, or infamous Irish man, has sported some sort of furry arrangement about the face, from the heavy â€˜chin curtainsâ€™ of the Victorians to the â€˜five oâ€™clock shadowsâ€™ of many who arenâ€™t really trying! 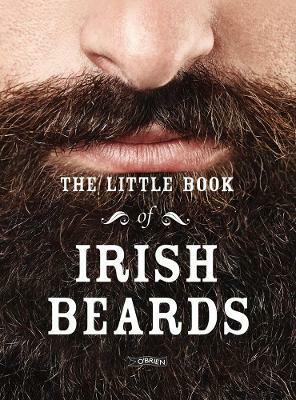 This little book celebrates the hirsute amongst us, taking a look at these gentlemen and their bewhiskered arrangements. Legends such as Ned Kelly, George Bernard Shaw, The Dubliners, Colin Farrell and even Graham Norton put in an appearance. So sit back, relax and enjoy the celebration of the Irish Beard!